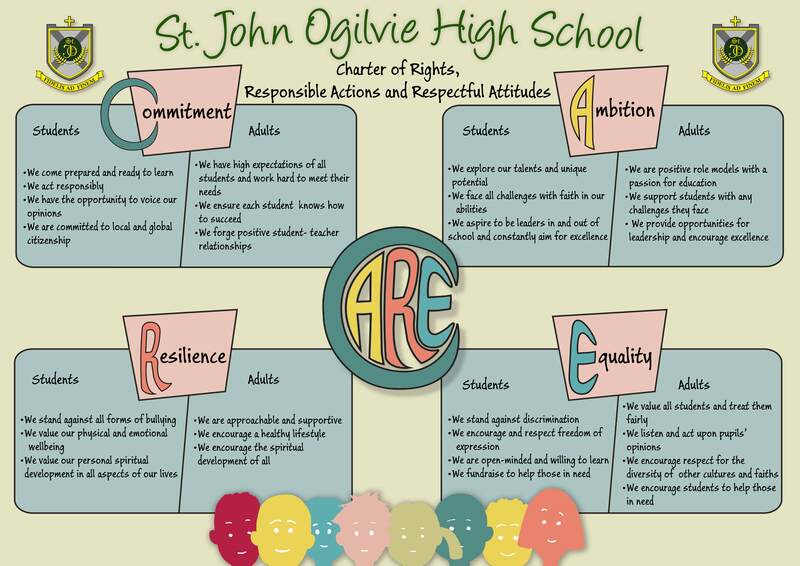 St. John Ogilvie High School is a 6-year comprehensive dedicated to the academic and spiritual development of all our pupils. We remember at all times that our pupils have wide -ranging interests and abilities and we believe that by valuing and celebrating the achievements of all pupils they will grow in confidence and so value the contribution they can make both to the life of the school and to their community. Download our school app to keep up to date with news and alerts from St John Ogilvie High School. You are all welcome to work in our centre, we are a multi-functional working Library, we host our own Library activities, as well as Support for Learning and Computing classes. The Library has thirteen networked computers, as well as an array of wonderful books. 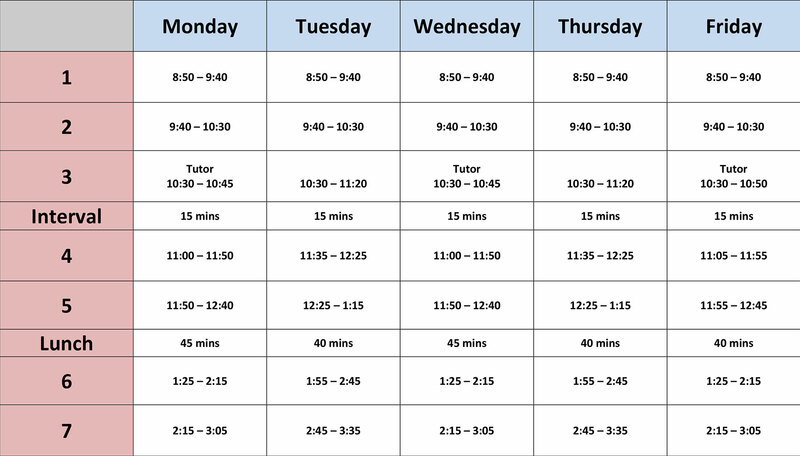 As well as being available during class periods, the Library opens at 8.20 with the opportunity to have breakfast, it is also open at interval, and 15 minutes into Lunchtime. The Library has hosted events such as Book Week Scotland, Dyslexia Awareness Week and The Summer Club, to name but a few. We have also accommodated authors such as Jonathan Meres and Keith Charter. This term we shall have the privilege of Tom Foster visiting us, Tom is a multitalented artist, comedian and illustrator. 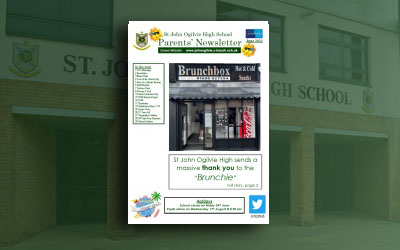 The St. John Ogilvie High School Newsletter can be downloaded as a PDF file by clicking the image. Download a copy of our timetable and calendar of events.